What would happen if you became ill or were severely injured and had to stop working? Think it couldn't happen? According to Social Security Online, "a 20-year-old worker has a 3-in-10 chance of becoming disabled before reaching retirement age." If a catastrophic event were to occur, not only would you have physical issues to deal with, you'd have major financial worries to contend with as well. If a disability insurance policy was included in your benefits package, or if you purchased one on your own, such funds are likely to cover the necessary financial support. Financial coverage would also be provided through workman's compensation if your accident was job-related. But what if your ability to work is impaired for an extended period of time and you don't have a disability insurance policy? For those who find themselves in such overwhelming and frightening situations, two programs, both administered by the United States Social Security Administration, may help provide the financial support needed. These programs are the Social Security Disability Insurance (SSDI) program and the Supplemental Security Income (SSI) program. 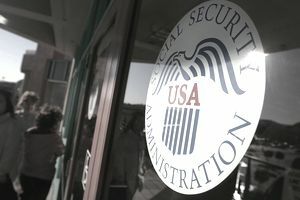 Social Security Online states that "the medical requirements for disability payments are the same under both programs, and your disability is determined by the same process." The difference between SSDI and SSI is in the income requirements for each. To be eligible for SSI, one must be considered low-income. Both programs require approved recipients have minimum work credits accumulated by earning money and paying Social Security taxes within the last ten years (Note: These requirements vary so it is very important to check with your Social Security Administration representative). You must be unable to work or, if you can work, your earnings must fall under a certain amount (a Social Security Administration representative can let you know what that amount is). Your illness or condition must be so severe that it interferes with certain work-related activities. Your condition must appear on a list of impairments maintained by the Social Security Administration. If you have a condition not appearing on the SSA's list of disabling conditions, you may still be eligible if it is severe enough to keep you from doing the work you previously did. Your illness must keep you from adjusting to work that is different from the work you did prior to having your disability. If you meet the primary criteria listed, learn more about the process to apply for disability benefits by visiting Social Security Online's Disability Planner section, or by calling or visiting your local Social Security Administration office.